The concept for the First Nations-themed series comes from the mind of Alexander Bar, creator of Mike the Knight (pictured). Ottawa, Canada-based Amberwood Entertainment’s latest project, Wolf Joe, is in development with Canadian pubcaster TVO. The animated preschool series from Mike the Knight creator Alexander Bar follows Joe, a young First Nations boy who embarks on adventures in the northern wild with his three best friends. 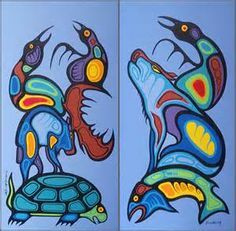 The concept for the series was inspired by the Wabigoon Lake Ojibway Nation, which is located near Dryden, Ontario. Wolf Joe is aimed at a three- to five-year-old demographic, and sets out to teach preschoolers about Canada’s indigenous culture, heritage and identity. Bar’s Mike the Knight currently airs on Treehouse TV in Canada, CBeebies and Tiny Pop in the UK, and on Nick Jr. in the US. Amberwood and TVO recently collaborated on Shutterbugs, which was also produced and created by Big Jump Productions.